Charles “Chip” Groat, Ph.D., was the founding President and CEO. Dr. Groat is a globally recognized expert on earth sciences, energy, resource assessment, groundwater issues, and coastal studies. 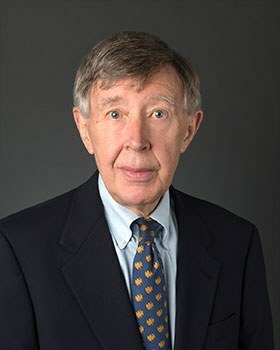 Along with the decades of experience he brings from the United States Geological Survey, academia, and as a world-class scientist whose recent research has focused on energy and water resources, Dr. Groat spent many years developing an acute understanding of the needs of our coastal areas in Louisiana. Currently, Dr. Groat is serving as Acting Director of the Louisiana Geological Survey and state geologist at LSU. He served as Director of the U.S. Geological Survey under Presidents Bill Clinton and George W. Bush. He has extensive experience as an educator and government scientist, including time spent at Louisiana State University and the Louisiana Department of Natural Resources.